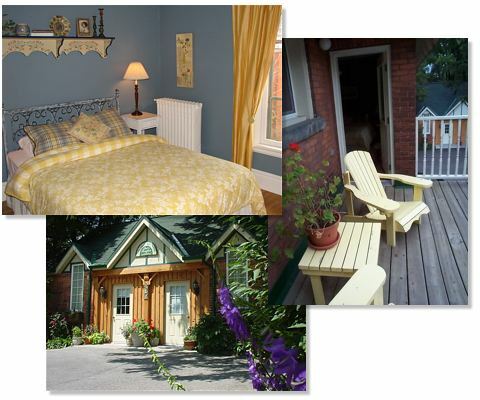 Accommodation in Stratford, Ontario, Canada. Check the list on the left hand column for more details on each room. Rectory rooms #1-5 are $ 230 plus tax, Coachouse suites are $280 plus tax. Book direct here. NEW! Superior Stratford accommodation in our one or two bedroomed offsite home near the downtown on Cobourg St, Rosalind's Retreat or Orlando's Hideaway are available for weekly or longer term stays. Call 519 271 7498 for further details. Minutes from the new Tom Patterson Theatre-reservations still available for the official opening in 2020. Prices are in Canadian. A note for our U.S. guests: Your dollar goes further! 1 USD = 1:32 CAD based on exchange rate on February 13 2019. Rates will fluctuate. Unlimited Wi-fi, parking & full breakfast are included & complimentary. We do NOT charge resort or tourist destination fees. Our well informed guests book our very best rates and service here, although you may book our rooms in Stratford at a higher rate through consolidators like Expedia, Trivago, Kayak, Tripadvisor, Hotels.com, Orbitz, Travelocity, Wotif, VRBO, air BnB, ebookers etc.